If you missed Food Inc. when it first came out, or you want to see it again, there are two screenings this weekend at the charming Miami Beach Cinematheque on South Beach. These screenings are part of the new Cinema GREEN environmental film series in collaboration with ECOMB (Environmental Coalition of Miami Beach). 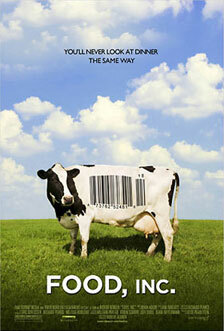 Screening followed by Q&A with organic farmer Gabriele Marewski from Paradise Farms Organic. Screening followed by Q&A with Chef Jeff Mcinnis from De Lido Beach Club at the Ritz Carlton.